This rugged mobile computer is particularly suitable for mobile commerce solutions in the retail environment both on store shelves and in stock rooms. 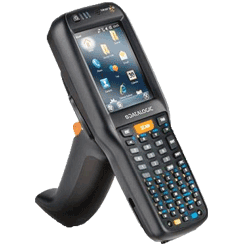 With the best ergonomics on the market, the Datalogic Skorpio X3 mobile computer reduces operator fatigue with no compromise in terms of reliability and robustness, resisting harsh environments, multiple drops, strong shocks and repetitive tumbles. 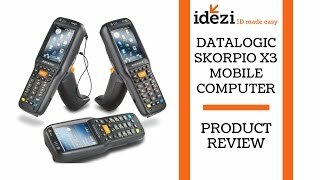 Whether in department or specialty stores, hyper or supermarkets, convenience stores, grocery or Do-it-Yourself stores, Datalogic's Skorpio X3 mobile computer fits most any retail in-store requirement for mobile data collection or validation. With the optional pistol grip, it is equipped for demanding back-end receiving and warehousing environments as well.